Native to snowy mountains (and possibly a relative of The Abominable Greench), this month's pet is perfectly suited for any wintry adventure — the Kun-Lai Runt! 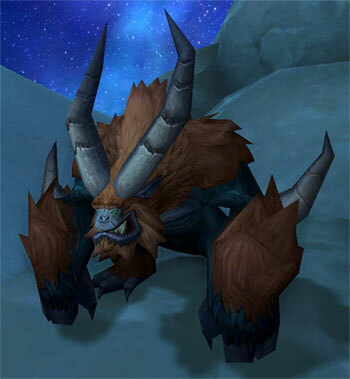 The Kun-Lai Runt is a wild pet that spawns in the snowy mountains of Kun-Lai Summit in Pandaria. Max level players should have no problem traveling to Kun-Lai Summit to search for their own Runt. Players below level 90 can still make their way to the zone, however it can be more dangerous. The easiest way to reach Kun-Lai Summit while on a ground mount is to head to Valley of the Four Winds. There is a stairway northwest of the eastern-most quest hub (Thunderfoot Fields) that leads up into the mountains. Follow this path, travel through the Veiled Stair, and take a short boat ride through the Ancient Passage. You'll find yourself in Binan Village in southern Kun-Lai Summit, so it will take a bit more legwork to reach the cold peaks where this pet lives. The Kun-Lai Runt comes in three possible breeds. This wild pet can spawn anywhere between Winter's Blossom and Mogu'shan Terrace. The Runt can be a little shy at times, and some collectors will recommend checking multiple servers for spawns. Be patient and keep looking! As fierce and vicious as the Kun-Lai Runt appears, this wild pet is a huge bundle of warm fluff. Who knows? Maybe the Kun-Lai Runt could melt even the The Abominable Greench's icy heart. The Kun-Lai Runt combines power with lots of fight control. 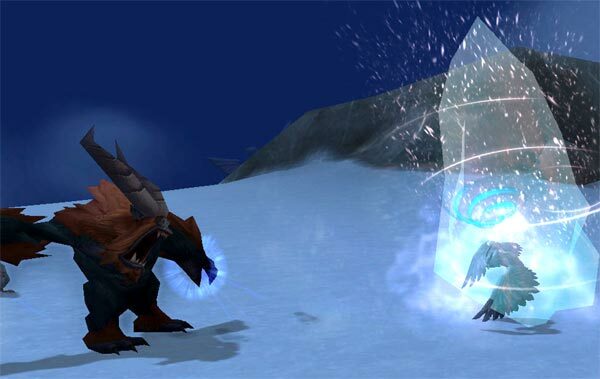 Much of that control comes from its ability to stun its opponent with the combination of Frost Shock, which causes the Chilled effect, and Deep Freeze, which has 100% chance to stun pets which are chilled (example pictured below). Adding insult to literal injury is its first slot ability Takedown, which deals decent damage most of the time, but doubles it when the opponent is stunned. Getting that combo down means not only is your opponent interrupted and locked down, but they’re probably not getting back up either. The other three moves the Runt brings to the table aren’t as popular, but they can still have their place. Thrash is a multi-hitting DPS move that can synergize nicely with Mangle, a per-hit additive debuff. Mangle’s duration is an extremely long 10 turns, but what it gains in longevity it trades in power, ending up the weakest but longest of its type. The final move the Runt is packing in its Winter Veil stocking is Rampage. Rampage deals damage for three rounds, but locks the Runt in through those turns. It’s similar to Stampede but without the juicy damage boost. Sadly, much like the Abominable Snow Monster of the North, the Kun-Lai Runt probably only wants hugs, but its strength scares everyone away. Make sure you give one a good home!